Pop superstar OLLY MURS is to bring his massive UK arena tour to Hull next year. Olly will bring his tour to the Bonus Arena on Tuesday, 21 May and tickets go on sale tomorrow (FRIDAY) at 9am. After finishing second in the X-Factor in 2009, Olly Murs has shot to fame with a string of hit singles, huge selling albums and as a TV personality. Olly – who has been nominated for six BRIT Awards and two Ivor Novello awards – is known for the hits ‘Heart Skips A Beat’, ‘Dance With Me Tonight’ and new single ‘Moves’ which features guest vocals from Snoop Dogg. The tour will also be visiting the likes of Manchester Arena, The O2 Arena in London and first direct arena in Leeds and is a huge coup for Hull’s newest entertainment venue. Olly’s show at the Bonus Arena is the latest huge name to be announced for the venue. Since opening at the end of August, the 3,500-capacity arena has announced names such as Castfish and the Bottlemen, Michael Ball, indie legends James, George Ezra and Boyzone. The show at the Bonus Arena will have both standing and seated tickets. You must be aged 14 or over to stand at this show. There is no lower age limit to sit. However, anyone under the age of 16 years of age must be accompanied by an adult. Tickets for Olly Murs at the Bonus Arena go on sale at 9am tomorrow (FRIDAY) from www.bonusarenahull.com or by calling 0844 8440444. Calls cost 7p per minute plus your phone company’s access charge. They are priced £55, £39.50 and £29.50 each. VIP tickets are available priced £129.50 each. Booking fees apply. 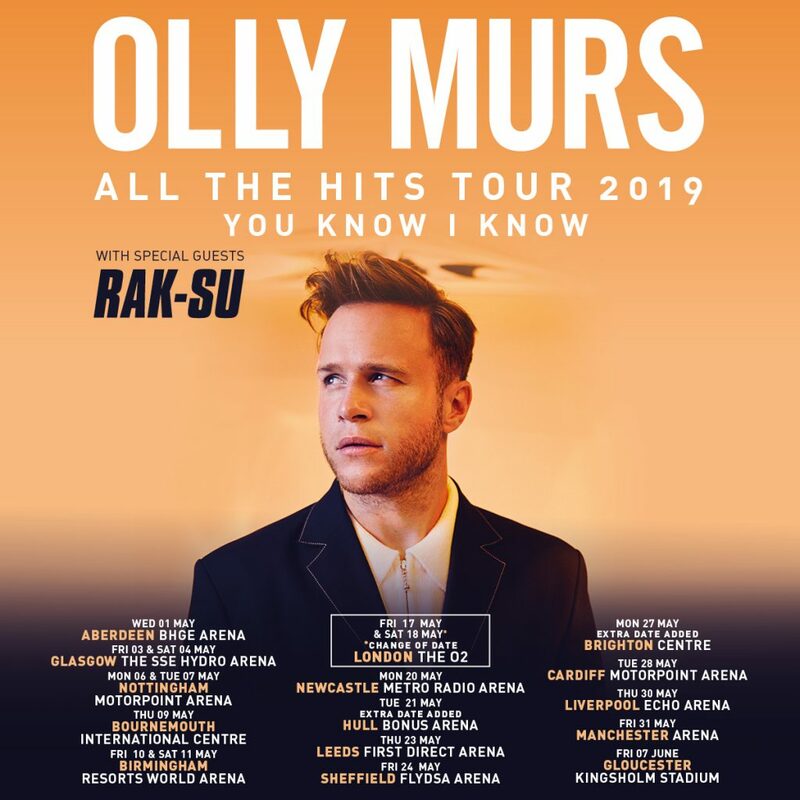 Be the first to comment on "Olly Murs – All The Hits Tour at Bonus Arena"